The City of Chur works with TYDAC since more than half of its existence - 15 years! 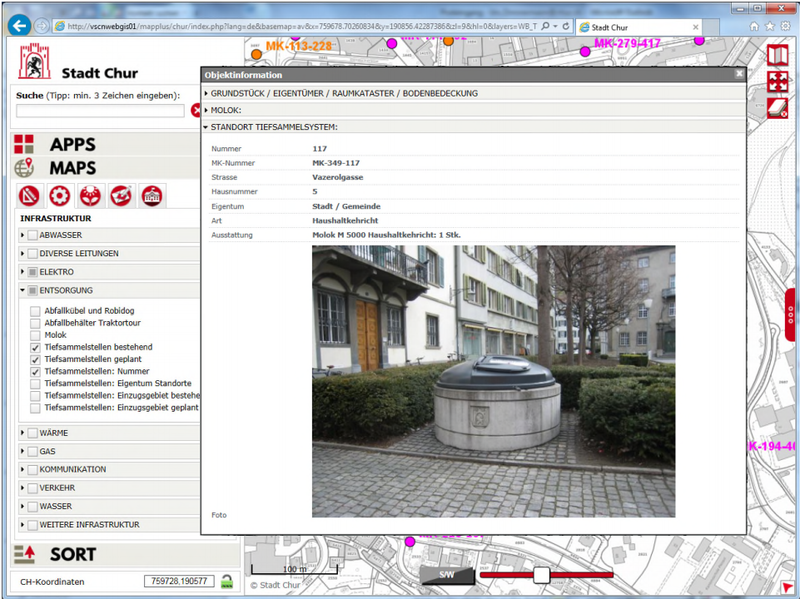 For the publication of spatial data, the City of Chur uses TYDAC products since 2001. Such a long partnership in the hectic world of computer science is exceptional and demonstrates mutual respect. More about that in the presentation of the City of Chur at the 25 years TYDAC event. Link Internet Version. 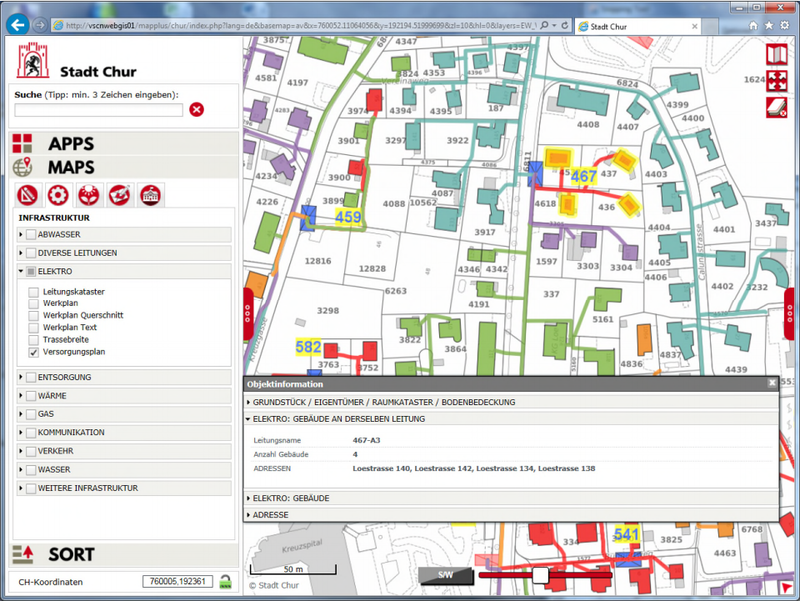 Solution-oriented, fast, reliable - this is the experience of the City of Chur with TYDAC since the beginning of the common WebGIS era in 2001. The cooperation lasts now the life cycle of several WebMap systems. TYDAC's solution has once more proved to be the most appropriate in the recent tender. Utilities: sewage, water supply, electricity, gas, etc. 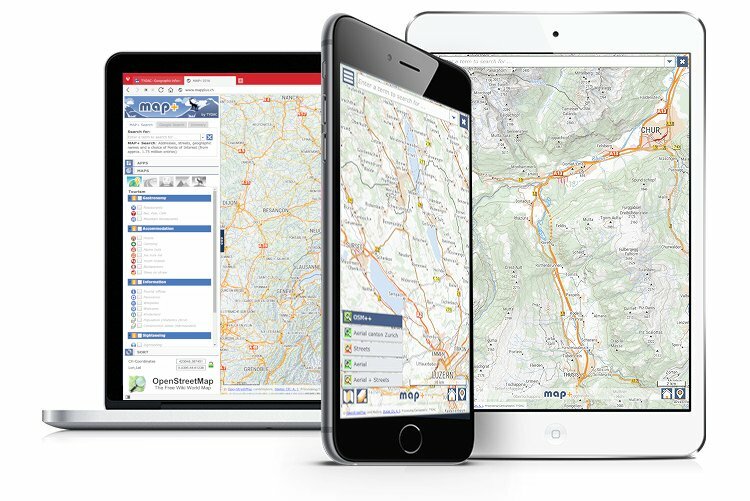 MAP+ is automatically adopted to the device you are using (responsive Design). Using Smartphones with an optimum in functionality and performance - looking the same as on the desktop. Of course with functionality for localization (GPS). MAP+ can as well be configured for any number of roles and users, and upon request, with the support of Single Sign On.